We have all seen the home become increasingly “smarter,” or more device-central, but large kitchen appliances have not kept up at the rate that smaller technologies have developed. 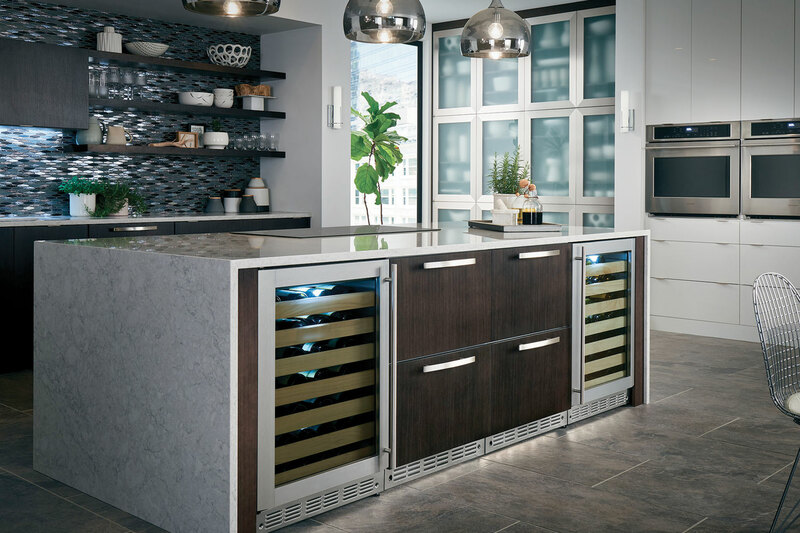 The heart of the home is finally seeing some long-anticipated upgrades that bring the kitchen up to speed with the rest of the house. The idea of connecting intuitive technologies with powerful appliances creates an impressive duo- with relatively untapped potential. The Amazon Echo has been on the scene for about a year, and has rapidly grown from a novelty gadget to a hub for home-automation. The Echo is a voice-enabled wireless speaker – think of a stand-alone Siri with a longer list of skills. Here at the Monogram Experience Center, we wanted to see how we could use the Echo in our day-to-day work and personal lives. We have made “Alexa,” the Echo’s trigger name, our assistant chef, secretary, entertainer, and more. Alexa will confirm and immediately start the oven. Similarly, we can control the range hood and lights, and the team is constantly collaborating with developers to add kitchen elements to blend appliances with devices. Voice-enabled appliances are a just a peek at how technology could change the way we cook and spend time in the kitchen, and we are eager to see the next convenience we can offer our customers. The program is still in it’s infancy, but we expect to see everything but the kitchen sink connected to our Echo soon – and who knows, they might throw that in too! The Amazon Echo and our Monogram wall oven in the Monogram Experience Center.